This week's topic was summer reads! This one was kind of hard for me, but I managed to find five books (or series) I always tend to read while I'm on vacation. This book is set at the beginning of the school year, but I always seem to reread it around summer vacation, for when I don't want something that makes me think very hard. Meg Cabot's YA novel, documenting a social reject's attempts at becoming popular -- or at least tolerated -- at her high school is lighthearted, funny, and a bit cheesy, but deeply enjoyable. I first read it when I was about eleven, and now it holds a lot of nostalgia value for me. It's a quick read, and one that I enjoy every time -- corniness and all. This is a series of twenty-four books (and counting! ), centering around Jersey-born bounty hunter, Stephanie Plum. Stephanie strapped for cash, and there aren't many options for employment in her town, so, she decides to take on a job hunting down people who fail to show for their court dates. Trouble is, she's not very good at it, and she attracts trouble everywhere she goes. Luckily, Stephanie has a crew of friends and family members (and two on-off boyfriends, Joe and Ranger) to help her out. While admittedly formulaic and kind of trashy, these books are a ton of fun. 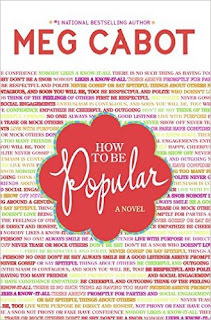 Stephanie is a very likable heroine, and the supporting cast keeps things from getting too monotonous, even when you have a pretty good idea of where the plot is headed. While there is some continuity, the books are written in a way that you could easily read them in any order -- I started from book one, but it's hardly necessary. There's also a movie adaption of the first book, which... exists. 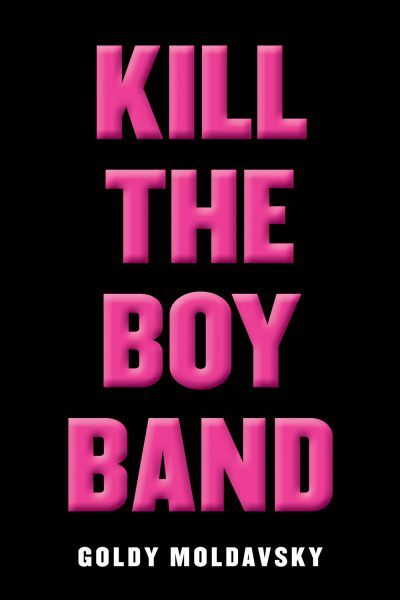 This is a dark comedy and thriller, centering around four fangirls who accidentally kidnap a member of their favorite boy band. (And the most useless member, at that.) As they debate what to do, things very quickly spiral out of control, and the narrator is left trying to get through the night with her sanity intact. This is another quick read -- I finished it all in a day. It's fast-paced and fun, with just enough twist and turns to keep it interesting. At the moment, this is the author's only book, but I'm definitely looking forward to reading more from her. She has a great knack for mixing humor with terror, and I enjoyed every page. A classic! 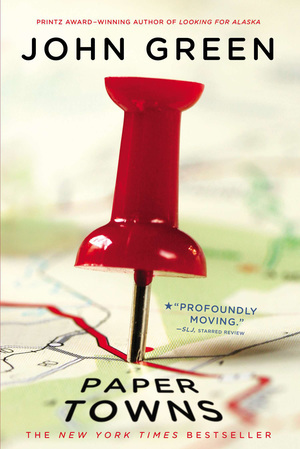 This is my favorite John Green book, focusing on Quentin as he tries to track down Margo, the girl of his dreams, who has a tendency to vanish for days on end. This time, though, feels different -- this time, it feels like Margo isn't coming back. Worried for her safety, and wanting to get out of his comfort zone, Q enlists the help of his friends to find Margo, and hopefully bring her home. With it's Floridian setting and Q's anticipation of finishing high school, this is already a perfect summer read -- and the 24-hour road trip is the icing on the cake. Much like "Stephanie Plum," this is a long-running series of books (twenty so far) that can be read in any order. They're also lighthearted, comedic books that don't require too much brainpower. However, these books focus on Serge A. Storms, a cheerful, affable serial killer with a knack for moneymaking schemes and Florida history. He kills people, but only in the name of justice (which is, as it turns out, very subjective) or preserving the ecology, economy, or history of the great state of Florida. Given his affinity for death traps, Serge is a surprisingly likable and friendly guy, and he usually makes an effort to protect the other protagonist of each book -- usually some poor, ordinary person who got dragged into Serge's latest scheme by sheer bad luck. 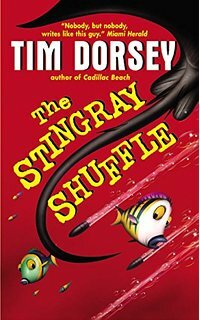 These books are fun for everyone, but they're especially great if you live in Florida, like me. Tim Dorsey, having lived in Florida since he was a baby, loooooves this state, and it shows in his writing. I've actually been to many of the places described in the books, and I've experienced some of the inherent weirdness that comes with Florida firsthand. The best way to read these books is in Florida, preferably wherever it is Serge is causing trouble in the book you're on. Thanks for reading this top 5 list! What books do you like to read in the summer? Are there any hot new summer releases you're looking forward to? Tell me about them down in the comments! If you'd like exclusive access to new content and free books, why not become one of my Patrons? Patrons get to vote in polls like this one HERE, and decide what kind of content you'll see on this blog, all for as little as $1 a month. Thank you! 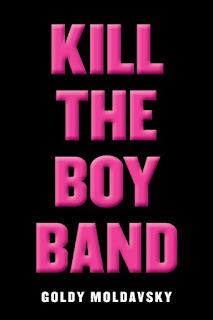 Every since I first saw Kill the Boy Band, I've been wanting to read it. It sounds so fun and interesting!